Ted Bundy enrolls at the University of Washington. He meets and falls for fellow student Stephanie Brooks. They date until she breaks up with him in the fall of 1968. Bundy remains obsessed with her. Many of his future victims have a similar slim frame and the same long, center-parted brown hair. Bundy’s self-image takes another hit in early 1969 when he visits Burlington, Vt., and finally learns with certainty that he was an illegitimate child and that Louise Bundy, whom he had been raised to believe was his sister, is really his mother. Bundy graduates from the University of Washington and also rekindles his romance with Stephanie Brooks. Unlike the first time they dated, in 1973 Bundy seems confident and in control of the relationship. Even though Bundy has a long-term girlfriend, he proposes to Brooks. She accepts. They are engaged for only a few weeks when Bundy stops returning Brook’s calls and letters. He breaks off their engagement, and Brooks wonders what she possibly could have done wrong. While there is speculation that Bundy may have begun attacking women as early as 1963, Joni Lenz is his first confirmed victim. On Jan. 5, 1974, Bundy enters Lenz’s basement apartment in Seattle while she is sleeping. He attacks and sexually assaults her with a piece of her metal bed frame. After getting away with attacking Lenz, Bundy grows bolder. Just a month later, he abducts Lynda Ann Healy from her basement bedroom in Seattle. Her body is never found. Bundy begins kidnapping and killing women at a rate of about one a month. Police representatives from all over Washington and Oregon meet on July 3 to pool resources and see if working together will help them catch whoever is killing young women in the Pacific Northwest. A striking pattern emerges. The women are all young and slender. Most have long dark hair, which they part down the middle. And in some of the cases a man wearing a cast, or a sling, was seen near where the girls disappeared. July 14 is a hot and beautiful day in Seattle. Lake Sammammish St. Park is packed with young people enjoying the weather. In separate incidents, Janice Ott and Denise Naslund are both abducted from the park. It is at this time that Detective Robert D. Keppel becomes involved in the investigation. Before long, his and Bundy’s lives are forever intertwined. Ted Bundy leaves Washington state and moves to Salt Lake City, where he enrolls in the University of Utah Law School. Almost as soon as Bundy moves to Utah, pretty young women go missing from the area. Bundy begins to strike in Colorado. On Jan. 12, he abducts Caryn Campbell from a hotel in Aspen. Her body is found a month later, not far from where she disappeared. In March, the skulls of some of Bundy’s first victims are found near Taylor Mountain in Washington. Utah Highway Patrol Sergeant Bob Hayward notices a suspicious car driving through his neighborhood at around 2:30 a.m. He flashes his brights to get the license plate, and the other driver cuts his headlights and takes off. Hayward gives chase and finally catches up with the man. It’s Ted Bundy. Hayward sees what looks like burglary tools in the back of Bundy’s car and arrests Bundy. That arrest, combined with other witness statements, eventually leads to Bundy being charged with the aggravated kidnapping of Carol DaRonch. Bundy is found guilty of aggravated kidnapping. In June he’s sentenced to one-to-15 years in prison. In October, Bundy is charged with the murder of Caryn Campbell in Colorado. He’s extradited to Aspen in January 1977. Bundy makes a mad dash for freedom. He escapes the Pitkin County Law Library in Colorado. He’s not free for long; he’s apprehended in Aspen six days later. But it wouldn’t be the only time Bundy slips away. Six months later, in December, Bundy escapes from the Garfield County Jail in Colorado. He heads to Tallahassee, Fla.
Not long after arriving in Florida, Bundy breaks into the Florida State University Chi Omega sorority house in Tallahassee. Once inside he kills Lisa Levy and Margaret Bowman, but he isn’t done turning the sorority into his personal house of horrors. After killing Levy and Bowman, he viciously attacks Karen Thomas and Kathy Kleiner, both of whom survive, but with serious injuries. Shortly after fleeing the Chi Omega house, he breaks into Cheryl Thomas’ house nearby and brutally attacks her as well. The scene at the sorority house is grisly, but it is a boon for police. For the first time, investigators can examine the undecomposed body of one of Bundy’s victims. They find a bite mark on Lisa Levy's buttocks. The evidence is damning. Bundy manages to avoid capture after the Chi Omega murders. He abducts 12-year-old Kimberly Leach from her school in Lake City, Fla. She is Bundy’s last victim. He’s arrested six days later in Pensacola. Leach’s body is found more than a year later, in April 1979. In a final bizarre turn, Bundy represents himself at his trial for the murders of Levy and Bowman. He has five-court appointed attorneys, but insists on doing much of the work himself – including cross-examining witnesses. On July 23, 1979, Bundy is found guilty of killing Levy and Bowman. A few days later, he is sentenced to death for the crimes. But the legal system is not done with Bundy just yet. In Jan. 1980, he is brought to trial for killing Kimberly Leach. He’s found guilty and then sentenced to death on the second anniversary of her disappearance. In the early 1980s, another serial killer is in the news. The Green River Killer is murdering young women near Seattle’s SeaTac Airport. Bundy reaches out to Robert Keppel, one of the detectives who investigated him, who is also on the hunt for the Green River Killer. Bundy thinks he may be able to help police catch the serial killer. Keppel is also optimistic, but he thinks it is more likely that the sessions will help him close some of the open murder cases attributed to Bundy. In reality, Bundy's observations and ideas didn’t do much for investigators. Gary Leon Ridgway wasn’t arrested for the Green River Killings until 17 years later; however Keppel has said that those interviews with Bundy gave him real glimpses at how Bundy’s mind worked. The conversations between Bundy and Keppel are reportedly the inspiration for Robert Harris’ book, The Silence of the Lambs. Bundy manages to avoid execution three times, before his final death warrant is signed on Jan. 17, 1989. He is scheduled to go to the electric chair on Jan. 24. In the days before he is scheduled to die, Bundy gives marathon interviews to investigators, including Keppel. Bundy hopes that by doling out information about his victims he may receive another stay. The ploy does not work. 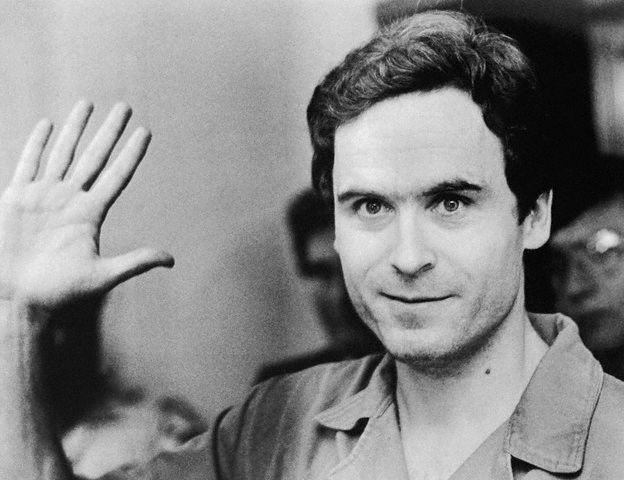 Ted Bundy is executed at 7:16 a.m.